Wiki Movimento Brasil, formerly known as Wikimedia Community User Group Brasil is a group that brings together active members of the Wikimedia Movement in Brazil. It aims at the organization of the Brazilian community as well as the promotion and participation on projects that the Wikimedia Foundation keeps. This user group has an official website. More information on the history of this user group is available on Wikimedia Brasil's wiki. The general idea for the creation of the Wikimedia Community User Group Brasil was launched in the context of Wikimania 2013 and Iberoconf 2013. In these events, an assessment of the role a group of Brazilian volunteers in promoting the community and projects in Brazil was made. We believe that access to free information is crucial to the development of a society. From this general understanding, to improve information within Wikimedia projects, that are strongly committed to opening knowledge, is the main goal that brings members of this group together. In order to achieve this goal, to contribute to the visibility and strengthening of Wikimedia communities remains of fundamental importance. The group knows it will not act as a representative of the community of editors, because it knows no group or individual may speak as the representative of an abstract entity, with a large number of heterogeneous people and organizations that are the core of the Wikimedia movement. We are deeply committed to respecting the community sovereignty, and our activities will target the improvement of the projects, never indicating to the community what it should do. To provide solutions that increase the number and improve the quality of pertaining reliable information in the Wikimedia projects, planning and executing activities that are in accordance to the scope and principles of the Wikimedia movement. The Wikimedia Community User Group Brasil was derecognised in May 26th of 2018. Ater that, the group has been renamed Wiki Movimento Brasil due to Wikimedia trademark rules; The logo was changed for the same reason. This page mentions both names for historical reasons (the former in events and reports before the derecognition and the new one after that) and we do not claim any right on the names used before the derecognition. To strongly promote and strictly act in accordance to the principles of the Wikimedia movement. To sustain a continuous set of activities of on-wiki and off-wiki communication. Types of initiatives the user group engages with are at least fourfold: education, communication, outreach and community capacity development. As a rule of thumb, the user group expects to report at least ten initiatives a year. Educational initiatives will focus on supporting and sparking Wikipedia education projects in Brazilian schools and universities. Communication initiatives will focus on systematically reporting and sharing our activities. We also expect to become a reference for media inquiries and to produce regular press releases on Wikimedia projects. Outreach initiatives will focus on giving visibility to the Wikimedia projects via events, providing resources to interested individuals and organizations and establishing and sustaining partnerships. Community capacity development will focus on providing useful resources to improve the community. A fundamental goal in developing capacity is to promote a friendly and diverse community, especially contributing to establishing an harassment-free environment. Yearly expected results of the user group are described below. This set of expected results is updated yearly, after a balance of projects and activities of the user group, and at this point reflects a strategic compass point for 2016 and eventually subsequent years (if no update is made). at least two projects per year associated to giving visibility to the educational use of the Wikimedia projects (either as a dissemination or research activity) or connecting to global campaigns on educational uses of the Wikimedia projects. The year report of activities is a summary of online and offline initiatives. It brings up a short description and qualitative or quantitative outputs for these initiatives. It may connect to links where detailed plans or reports are provided. Whenever this is possible, initiatives will be connected to media production --either from the user group or from external outlets--, that may serve as a reference. 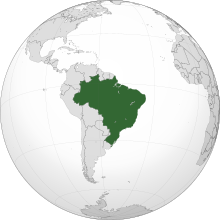 The UG Wikimedia in Brazil is proud to have established ongoing partnerships with relevant institutions, that share the group's mission of fostering the Wikimedia community and contributing to opening knowledge and culture. Open Knowledge (Brazil), an organization that promotes sharing information and knowledge transparency. These are general official partnerships, as indicated in the formal letters below. Specific activities, associated to outreach and education initiatives, have rested upon specific partnerships, that are mentioned on reports of activities. Newsletter with group's activities - updated roughly every month. Please fill the membership form to join the user group. Admission to the user group will be examined by the user group board. The main criteria for joining are: being a motivated contributor to the Wikimedia projects and movement and abiding to the user group code of conduct and friendly space policy. The board will discuss whether to allow membership of banned users on a case by case basis, as well as other applications that might raise any concern. The user group board will respond to your membership application and eventually add you to the members list. All the information collected through the form is for administrative purposes only, and protection is assured. The data will be accessible to the user group board only. The list below is more of historical than of practical interest. It mostly brings the original endorsements to the idea of a user-group creation in 2013; some of the users have disengaged with the movement. ↑ "Recognition of Wikimedia Community User Group Brasil by the Affiliations Committee". Retrieved 31 December 2013. ↑ a b "De-recognition of Wikimedia Community User Group Brasil by the Affiliations Committee". Retrieved 14 February 2019.